If your staff use headsets to communicate with your customers then ensuring that these frontline tools are in full working order and are fit for purpose is vital. Using headsets which are worn, damaged or old technology will impact your customer experience and your staff comfort and morale. If you are not sure whether your current set-up is as good as it could be, then why not contact us for a free, no obligation audit of your headset inventory? Migration strategies for the transition to Unified Communications (UC) for phone and headset users. Watch this short video on how to take care of your headset. Call us now on 0118 920 9420 or email us at info@com-solutions.co.ukfor more information. A Soundpro wideband headset transmits and receives audio frequencies that are ‘wider’ than many standard corded headsets. This gives you natural sounding calls which are as clear as face-to-face conversations. 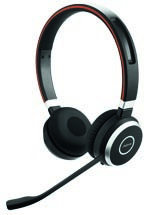 A Soundpro headset is also robust, reliable and comfortable to wear. This is why a number of our emergency services, including Gloucestershire Constabulary, use Soundpro. It’s a great time to experience the benefits of a Soundpro headset. With an exceptional starting price of £50.41 (excl VAT) you get a free cable worth £11* and a 2 year warranty. Click on the link below for your headset with free cable*. 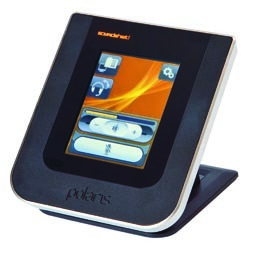 If you would like to trial Soundpro, then call us on 0118 920 9420 or email us now (terms and conditions apply). Headsets alone cannot guarantee acoustic safety. Soundpro headsets are optimised to work with Soundshield; a protective barrier device which sits between your phone or PC and your headset. Its shriek rejection software prevents loud noises ever reaching your ear. Free headset assessment or audit of your current headset inventory. Are your customers hearing you clearly? Customers these days take advantage of self-service options such as web chat and online FAQs. This means that when they do call you, they will have an important issue they want you to resolve. Customers don’t expect to have to repeat themselves or to struggle to hear your agent; they want feel listened to. Does your technology help or hinder that process? An effective headset will ensure a clear two-way conversation for both the caller and the agent to hear each other easily. A noise-cancelling microphone will reduce the background noise being transmitted to your caller but it does not reduce this noise for the agent. In order to hear a call clearly, a differential of 15db between the voice you want to hear and the ambient noise around you needs to be maintained. To ensure this, your agent needs a noise-cancelling headset with two ear pieces (a binaural headset) which will block out background noise and improve concentration and efficiency. For fewer misunderstandings, clearer communication and happier customers and staff, call us on 0118 920 9420 or email us at info@com-solutions.co.uk – the secret’s in the headset. Acoustic shock is real and can affect you. Click here to know more. 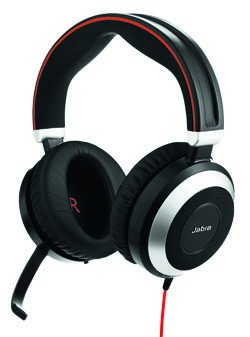 Noise Cancelling – is it worth the extra cost? If you have ever called a customer contact centre and struggled to hear the agent over background noise, then it’s very likely that they were not using noise cancelling headsets. 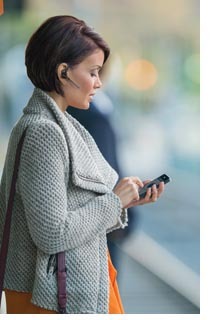 Did you know that a noise cancelling headset reduces background noise by up to 75%? Did you also know that voice tubes do not reduce background noise but rather transmit it to your caller much like a speaker phone? Whilst voice tube headsets are undoubtedly cheaper, if your contact centre or office is noisy, then customer service will be impacted. Do you make it easy for your customers to hear you? If your business records calls, we can demonstrate the difference that using noise cancelling technology can make. Call us now on 0118 920 9420 or email us at info@com-solutions.co.uk to arrange your demonstration. Investing in the right headset will not only deliver better customer service, but will also benefit your staff. Noise cancelling technology prevents your agents from having to raise their voice to be heard over background noise and creates a healthier noise environment.